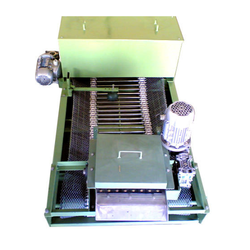 We are engaged in manufacturing a wide range of Magnetic Separator, Electromagnetic Separator, Industrial Magnetic Separator which consists of Magnetic Separator (Band Filter Combination) and Candle Type'' Magnetic Separator. These are quality checked on well-defined parameters to ensure high efficiency, reliability and longer service life. We also meet customized specifications. Magnetic separation depends on size of the particle, viscosity of fluid, magnetic field density and time in contact with the magnetic field. When particles to be separated are fine, increasing contact time is necessary. Candle Type Magnetic Separator achieves this. 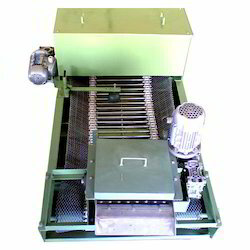 Candle type magnetic separator comprises of endless belts of magnetic candles, mounted between two sprockets, mounted vertically. These are revolved slowly to move the magnetic candles through the scrapers. This assembly is installed in dirty fluid tank. In the tank, the fluid movement is very slow, resulting longer contact time between fluid and the magnetic candles. Magnetic dirt is attracted to the magnetic candle surface and is pulled out of fluid with their movement. The dirt collected is scraped off on the scrapers placed above the fluid surface. A conveyer under the scrapers (or a chute in smaller models) collects the dirt and lets it to the bin outside the tank. 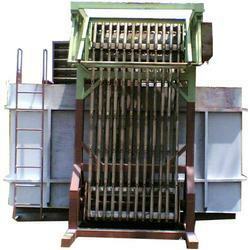 We are passionately engaged in providing an exclusive array of Magnetic Coolant Separator to our clients. 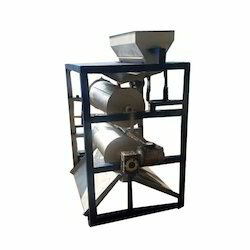 We offer quality range of Magnetic Separator (Band Filter Combination) that is designed for separating ferrous particle from less viscous fluid having low quantity of dirt. The design of the filters is based on principle of gravity filtration. 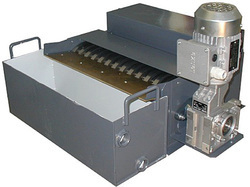 Our range of magnetic separator consists of separation of ferromagnetic particles from the liquid and band filter for removing particles not removed by the separator.